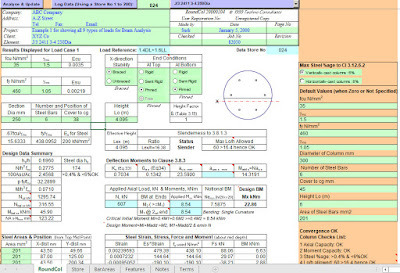 Circular Column is an Excel Spreadsheet template for the design of Circular columns using BS8110. Because of its shape, all columns are considered as subjected to uniaxial bending. When it is required to consider a column with bi-axial bending, the two eccentricities can be combined to make it a column having one eccentricity moment. 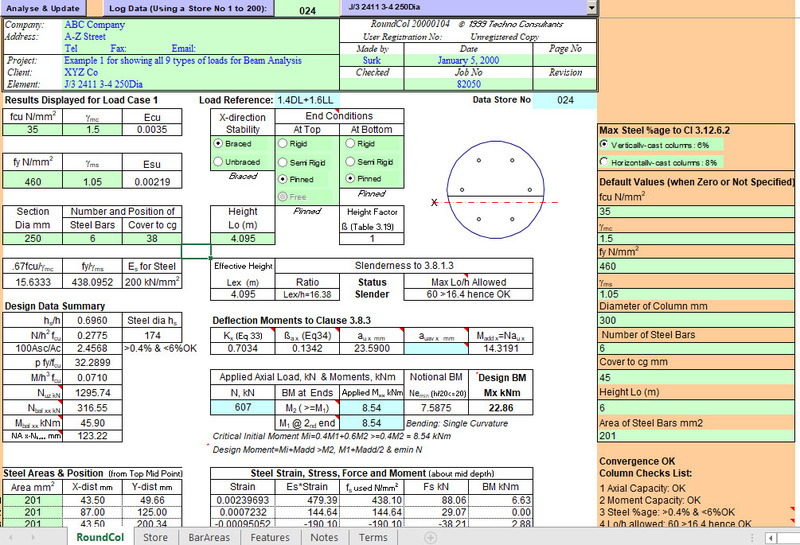 RoundCol can hold design information for up to 200 columns. Using a pull down combo box, the design information for any column can be retrieved, amended and re-saved for design use as and when necessary. Each Column in RoundCol can have up to 6 Loading Cases. Although the design results are displayed for one load case at a time, Circular Column checks the design for all 6 loading cases in one step. If a column fails the design checks for any of its load cases, the Fail-Code is shown indicating the failure. Detailed results for any load case can be displayed by the click of its radio button and also printed as and when required.